It is a CFO’s responsibility to make sure the company can pay its obligations, achieve its business goals and fund its growth objectives. This calls for planning, analysis and solid cash flow forecasting. A cash flow forecast, or cash flow projection, forms the basis of a firm’s near-term financial processes as well as its long-term stability. Forecasting incoming cash enables a business to plan and manage cash outflows and maintain solvency. In addition, cash flow projections underlie a firm’s capital structure, asset valuations and strategic planning processes. § Ensure adequate cash is available to make payroll, pay suppliers and cover operating expenses. § Time capital expenditures and investments based on projected revenues. § Grow strategically through expansion and/or acquisitions. § Anticipate and address potential deficits proactively. § Invest surplus capital for maximum return. § Balance pricing, inventory turns and market share growth. § Monitor receivables closely and pursue slow-pays as appropriate. § Monitor inventories and balance them against sales and bookings. Cash flow is essentially the change in a company’s treasury position from one period to the next. Typically, it is projected for at least a 13-week (one-quarter) period. Cash generally includes bank balances and short-term investments. A cash flow projection does not include non-cash items such as depreciation and amortization since they do not involve cash outlays. A spreadsheet can be used to show cash input from all sources and cash output for the period. Budgeting software can simplify the process of setting up a cash flow forecast and systematic cash flow analysis. It is important that projections about the quantity and timing of forecast inputs be as accurate as possible. Regularly recurring expenses, such as payroll, benefits, insurance, rent, utilities and loan repayments are relatively fixed. Expenses such as advertising, travel and entertainment (T&E), and manufacturing inputs often fluctuate from period to period. Disbursements for fixed asset purchases, maintenance costs and professional services can vary widely. Use previous experience and realistic estimates when projecting these items. § Determine projected revenue based on monthly sales or billings. § Estimate timing and amount of receipts (accounts receivable or AR). § Identify any additional expected cash inflows, such as loans, refunds, and deposits. § Compile all expenses and other payables. § Estimate payment dates for disbursements (accounts payable or AP). § Calculate the amounts in a cash disbursements forecast. In addition to the direct method, there are several indirect methods of forecasting cash flow that rely on projected income statements and balance sheets as a basis for projecting cash flow. This method of cash flow forecasting is based on operating income. Using either EBIT or EBITDA as a metric, balance sheet accounts (i.e., AR, AP and inventories) are used to forecast cash flow. The PBS method uses projected sales based on a specified production schedule minus expenses for the period to arrive at a forecasted profit figure. ARM is a combination of the (direct) R&D and the (indirect) ANI methods. Using statistical distributions, the ARM method can be used to forecast cash flow accurately for a year or more. These indirect methods of cash flow forecasting are generally used for medium or long-term forecasting horizons. During the quarter, try to adhere to the planned net cash flow position. It is important to pinpoint any significant variances between cash flow projections and actual financial results. Stay on top of metrics such as days sales outstanding (DSOs), days payments outstanding (DPOs) and inventory turns, as these can be early indicators of potential cash flow problems. Take steps to address these key activity ratios before they become problematic. Actions to consider include stepping up collection efforts, holding invoice payments until their due date, re-negotiating contract terms with suppliers and vendors, and/or taking pricing actions to accelerate sales or reduce inventory. It is not unusual for cash flow to fluctuate due to factors such as seasonality, maintenance shutdowns and input cost variations. If a shortfall looms, it may be necessary to draw on a line of credit, ramp up sales efforts, sell non-core assets, raise equity or obtain additional bank financing. While it can be tempting to relax credit policies in an effort to boost cash flow, it is important to ensure that credit policies remain balanced. That is, credit policies should not be so restrictive that they result in losing sales and missing the full value from potential long-term customers. And conversely, credit policies should not be so lax that inventory is being sent to customers who are not paying their bills in a timely manner. A sound, realistic cash flow projection enables a business to make investments with confidence, plan capital expenditures strategically and set reasonable goals. A cash flow forecast should be thought of as a living document and updated regularly to reflect new information, such as macro-economic factors, micro-economic trends or new business activities that could impact the business, its clients or its cash flow. Proactive cash flow management requires a systematic approach that enables management to understand its cash cycle and to manage cash outflows, make well-timed expansion and hiring decisions, and, above all, anticipate potential cash flow gaps or other associated problems. 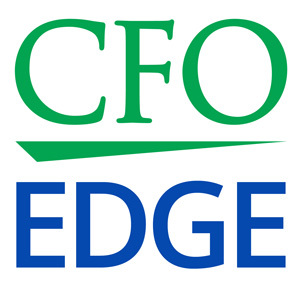 Organizations that do not have internal expertise, resources or capacity to set up a cash flow projection and review mechanisms often turn to project CFO to get started. It then becomes a routine matter to do cash flow forecasting and run the cash flow reports, analyze the results and take corrective actions.